You have likely heard of assisted living, but you might not know exactly what it is. Some people group assisted living in with nursing homes. Though the two are comparable, there are some differences. We’re going to take a look at what assisted living actually is. Assisted living facilities allow residents to live alone. They do this while still receiving the assistance that they may need. Some view it as a halfway point between a nursing home and living alone. At nursing homes, residents aren’t given as much freedom as they are in assisted living. Hermitage Roanoke, a Roanoke assisted living facility, notes that some seniors should not live alone, depending on their health status. In general, assisted living residents are seniors. These are usually seniors who are experiencing a decline in their mental or physical health. According to AssistedLivingFacilities.org, those with mental problems may also live in assisted living communities. This includes people of all ages. How Do I Find a Good Assisted Living Community? Read online reviews. A Google search will show you ratings for assisted living facilities in your area. As you read these reviews, pay attention to the dates. More recent reviews are more accurate than older ones. This is because changes might have been made at the facility. Ask for referrals. You can ask anyone you know for advice about assisted living communities. Perhaps your friend or co-worker placed their loved one in a community. You might also ask your loved one’s doctor for suggestions. They may know of a good assisted living community in the area. Visit the community. It’s important to get a feel for the community before committing. Visit the community to ask questions and take a tour. Consider whether you feel welcome there. At this point, you can also meet the nurses and other staff members. It’s a good idea to see how your loved one responds to the environment if you bring them along. 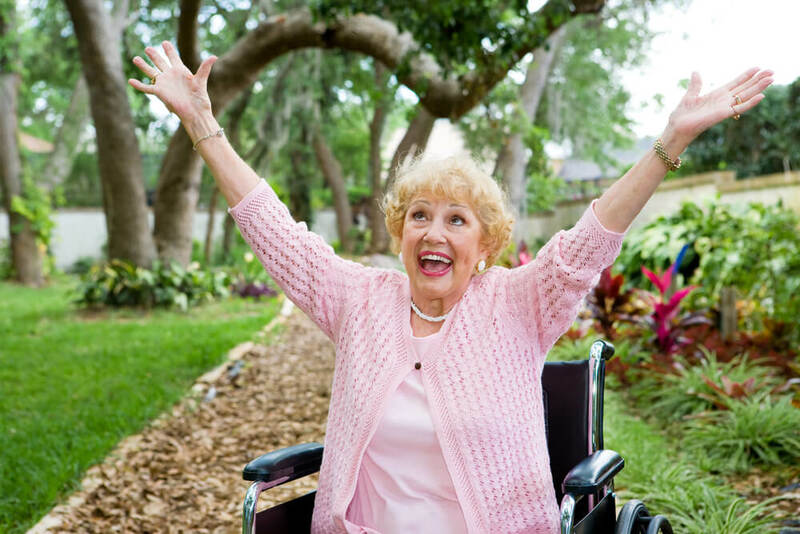 What Are the Benefits of Choosing an Assisted Living Facility? There are many reasons that people choose assisted living instead of nursing homes. Let’s take a look at a few of the benefits of living in an assisted living community. Residents have more privacy compared to shared rooms at a nursing home. These communities often have more events and activities available for residents. Residents get to be independent but still receive care when needed. The major factor that influences this decision is independence. If a senior can mostly care for themselves, they should go to an assisted living facility. Nursing homes are a better fit for those who need more medical care throughout the day. What Type of Care Is Given at an Assisted Living Community? At assisted living communities, residents are given assistance with regular activities. If a resident requires help with everyday needs, they will receive that assistance. Some assisted living communities offer different levels of care. Some residents may need little to no care while others need much more. At assisted living facilities, a skilled team of staff members is available to help. This might include nurses as well, but it is not required. These teams work together to give residents what they need to live happy and healthy lives. Some of the care received is healthcare, such as giving residents their medications. Other times, the staff will help with everyday activities. These activities include things like paying bills, getting dressed, or cooking. When Should a Loved One Go to Assisted Living? There are many different clues to look for, according to Caring.com. You should be aware of any major changes in your loved one’s lifestyle. You should also look for signs that they are not keeping up with their responsibilities, such as doctor’s appointments and bills. It is important to look for patterns too. If your mother forgot to pay one bill, that’s not a big deal. Look for consistencies in forgetfulness and other signs too. Do Assisted Living Facilities Offer Medical Care? In general, residents who must have medical care should be placed in nursing homes. Assisted living facilities do have emergency medical care practices in place. According to After55.com, there are major differences between the medical care in nursing homes and assisted living facilities. If a resident requires medical care beyond medications, they should live in a nursing home. At nursing homes, the staff is more skilled in the nursing area. Assisted living communities give seniors or those with disabilities a chance to live on their own with the support they need. They are given the chance to live how they want to without being in danger. This assistance gives residents what they need. It still leaves them with the freedom to make their own decisions.